All our rooms are equipped with the best comfort but they still keep the charm of the past. Each room has a balcony facing the historical centre of Sorrento and the famous church of Santa Maria delle Grazie. The roof garden on the terrace, offers a panoramic view of the Gulf of Naples and the Sorrento Coast. 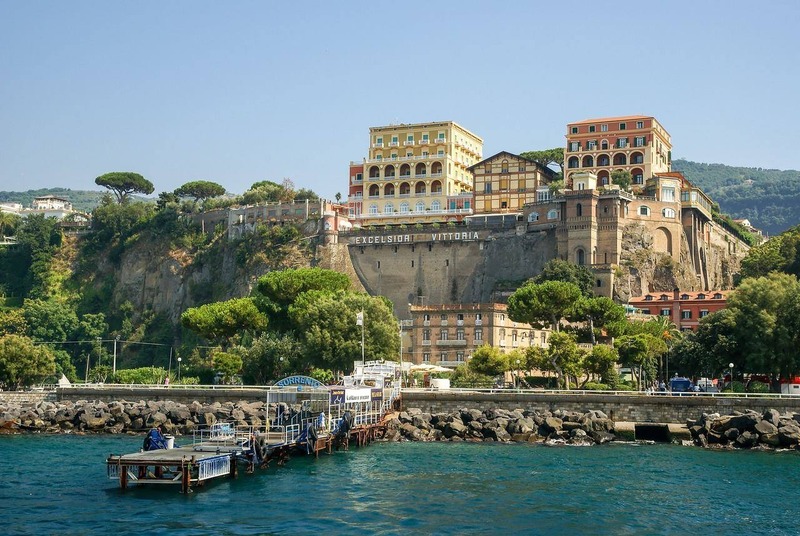 The Hotel Rivoli, Sorrento Center Hotel, is surrounded by some typical workshops where you can feel the flavours of Sorrento, where the famous Torquato Tasso was born. Our guest can feel the true atmosphere of the city, taste the typical dishes of the Napolitan Cuisine only walking along the narrow streets of the historical centre or having a drink on the balcony of the Hotel Rivoli. Our young and qualified team, able to advance every demand of its customers, will help you with kindness and experience to discover the Sorrentine peninsula and to leave an unforgettable memory of your tailor made holiday in Sorrento.